With 5 rugged and handy tool heads, the VersaMax replaces a whole tool shed of appliances, all in a compact and lightweight package. Plus, changing tool heads takes seconds, so you’ll save time and effort while you work! Being so compact, you can take the whole kit with you into remote or tight spaces, meaning you have a whole toolkit at your disposal for complex jobs and are covered for the unexpected. 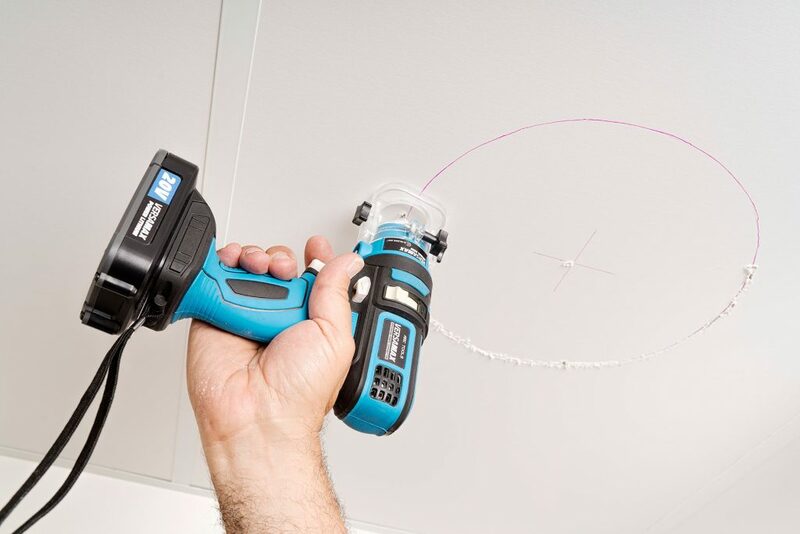 Changing tools is quick and simple with the Advanced Rapid Connector. Just twist, fit and lock and get on with the job. 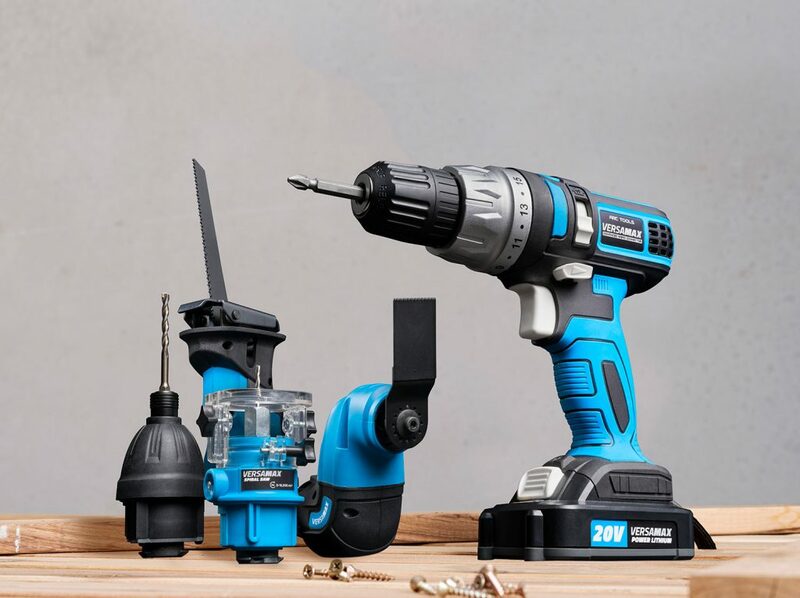 With 15 levels of torque adjustment and up to 20Nm of torque, this drill is powerful and versatile. It also has a hammer function. Now you can tackle all your masonry jobs easily - brick, concrete, tiles etc. This powerful saw operates at up to 2800rpm, making light work of hard to get at jobs. Demolition work, cutting pipes, chopping out studs, even in the garden cutting big branches. Comes with metal and wood blades so now you can cut it all. The multi-tool is the most versatile of the lot! 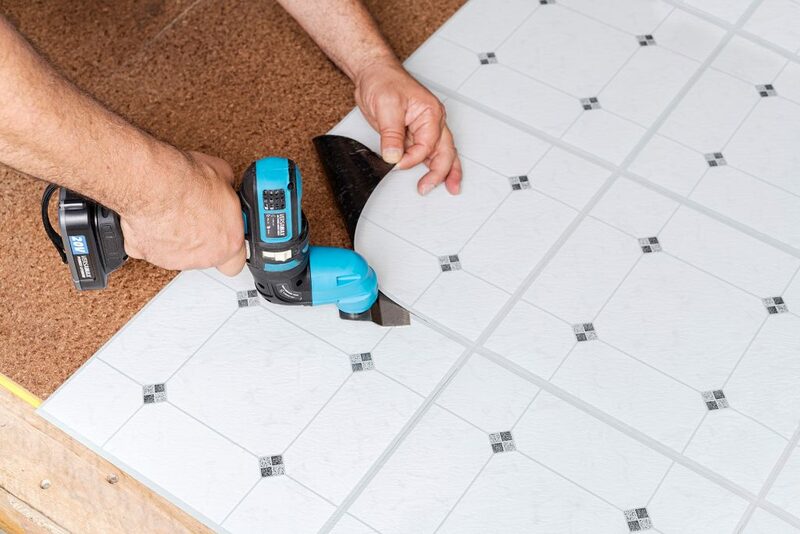 With so many accessories, now you can sand in tight corners, make tricky to reach plunge cuts, cut nails and screws flush to the surface, and even use the scraper blade to remove old silicone, lino adhesive and even removing tiles from a splash-back or shower recess. A must in any tool box. The Spiral Saw is perfect for those more intricate cuts, cut Laminex, perspex, poly-carbonates, plasterboard, plywood. 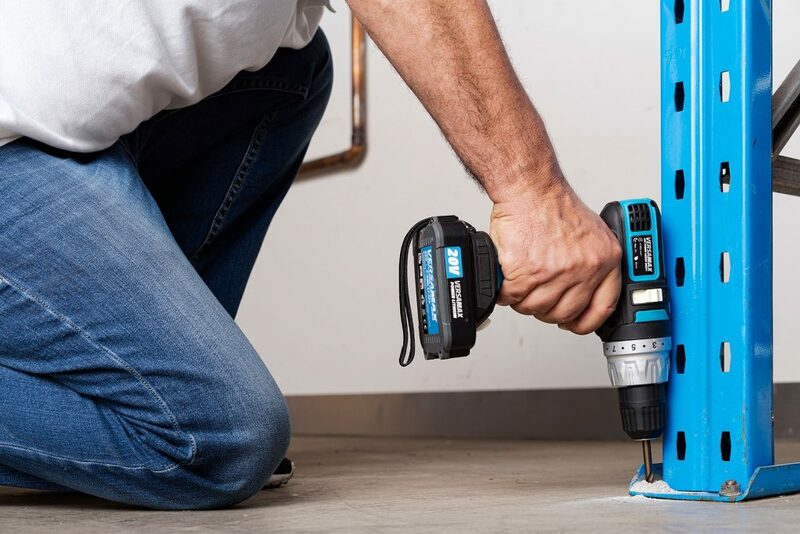 With it's unique drill bit that cuts sideways, you can cut in any direction and cut perfect round circles for down-lights, exhaust fans or duct work. This is a must for any arts and crafts enthusiast. Such a handy tool! 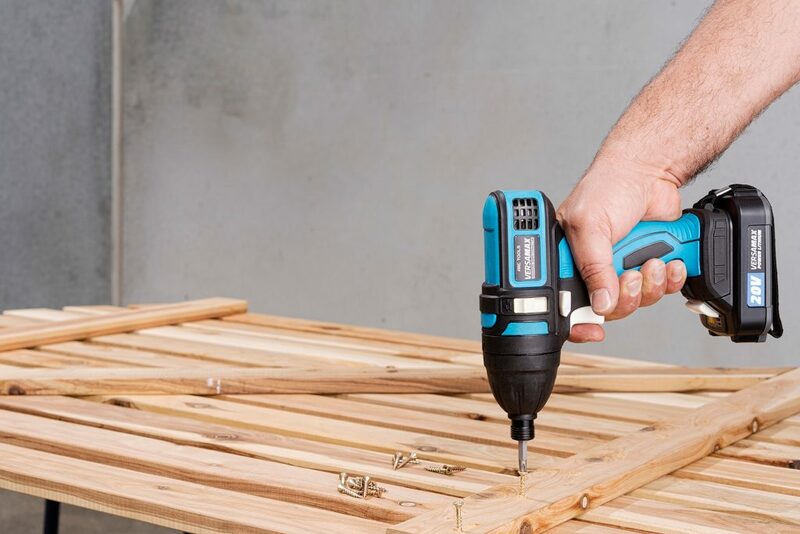 The Impact Driver features a quick-change chuck, so now you can switch from a driver bit to a drill bit in seconds. The shutoff clutch prevents over-tightening. Perfect for multiple drilling, decking, fencing - also ideal to get old screws out of hard wood. Tradies love this one! If there's one attachment you need, it's the Air Pump - it'll definitely get you out of trouble. 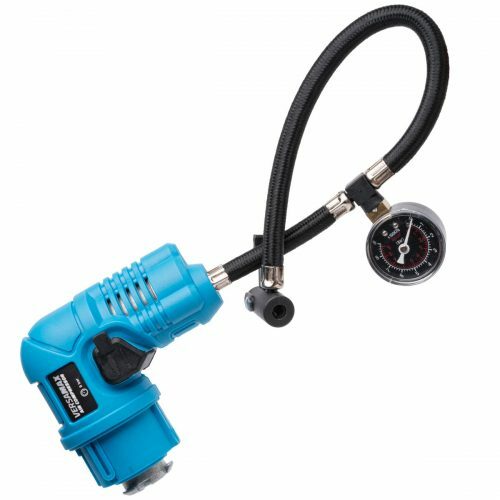 With 8bar (116psi) of pressure this turns your VersaMax into a compact air-compressor. Inflate motorbike tyres, bicycle tyres and even car tyres, footballs, soccer balls, basketballs and even some of those pool toys - the kids will love you forever! 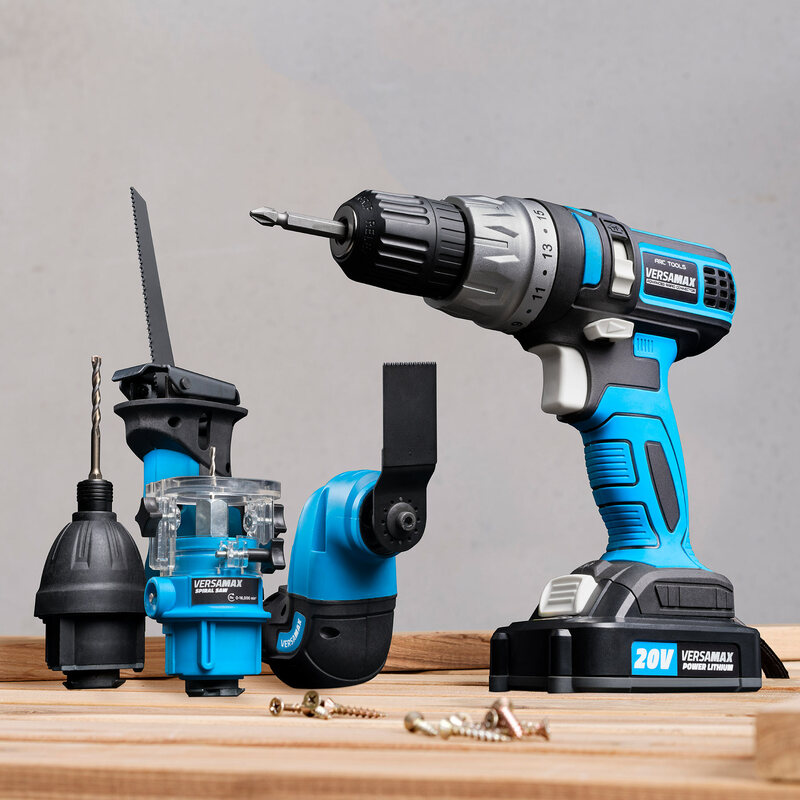 With 15 levels of torque adjustment and up to 20Nm of torque, this drill is powerful and versatile. 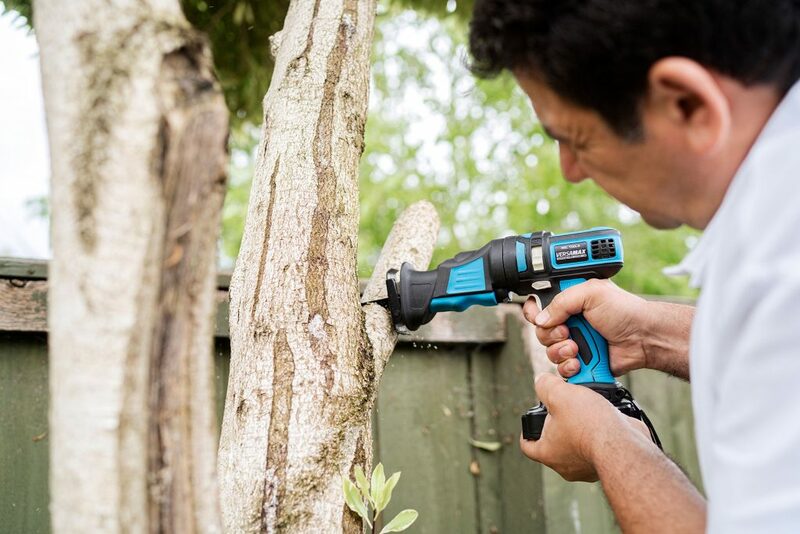 Flick it into hammer drill mode to tackle those heavier jobs. The 10mm chuck fits most standard drill bits. The multi-tool is the most versatile of the lot! 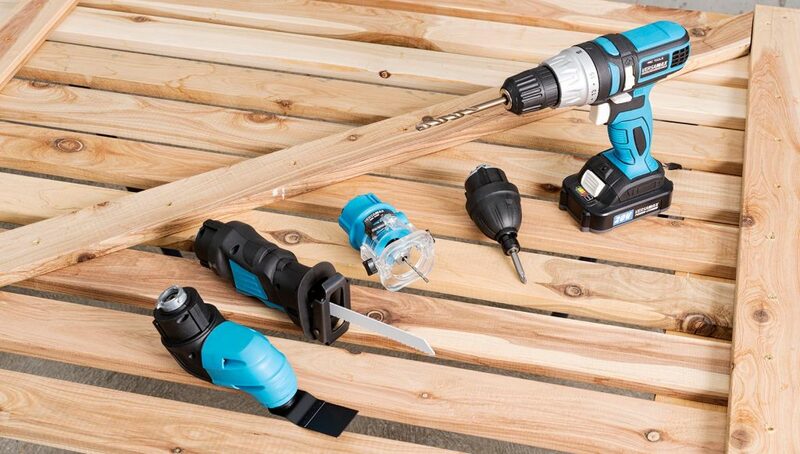 With included sanding mount, cutting tools and scrapers, you can do anything from a tricky to reach plunge cut to removing stuck-down materials or detailed sanding. This powerful saw operates at up to 2800rpm, making light work of a range of jobs. Comes with included metal and wood blades and a mount that fits a wide range of blades available at your local hardware store. The Spiral Saw is perfect for those more intricate cuts, sawing brittle materials like Laminate, and jobs where a perfect perpendicular cut is needed. With an adjustable depth gauge, you’ll have full control when making tricky cuts into in-situ surfaces. 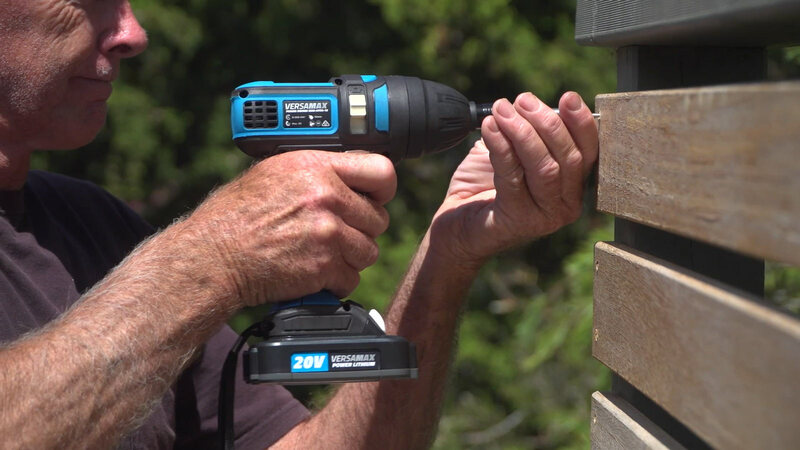 The Impact Driver features a quick-change chuck and shutoff clutch to prevent over-tightening. Perfect for construction and assembly and a valuable tool for every workshop. 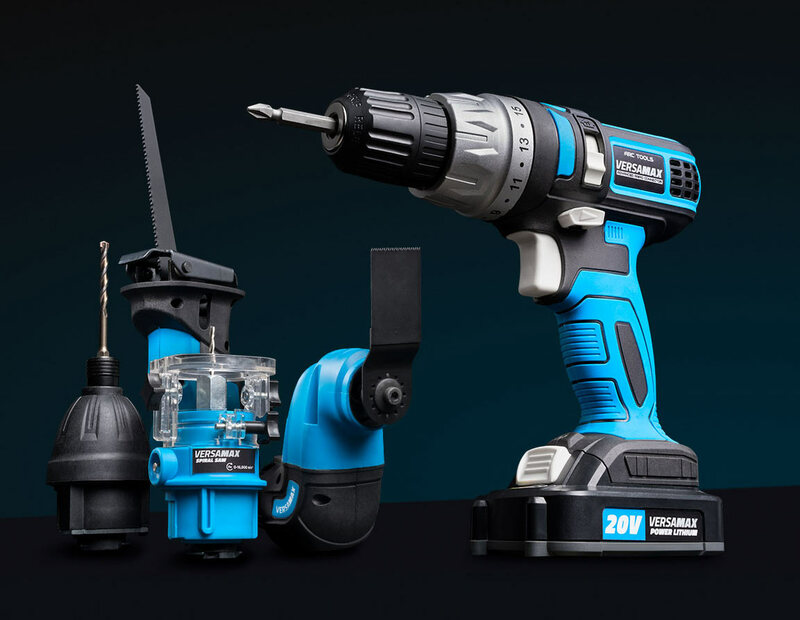 Major brands are all moving towards cordless tool systems that share a common rechargeable battery. But these tool systems all have something in common: waste. By producing each tool separately, you need a motor, handle and controls for each tool. Not only does this add to the cost of producing these tools, but it results in a larger kit that is heavier and much less portable. There you have it. 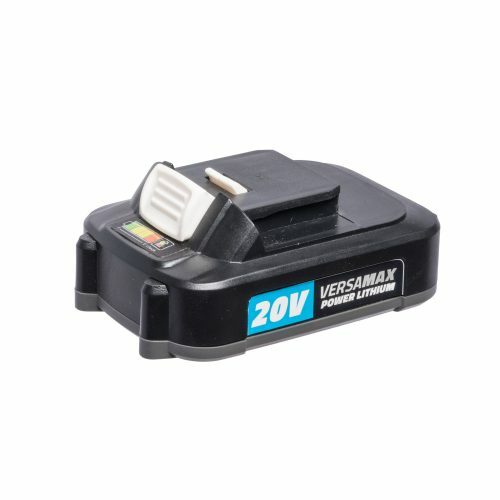 The VersaMax is more compact and portable, and much cheaper than the competition! So what are you waiting for? Get one today. *Based on comparison with closest matching major brand tools available at major retailer. Prices and weights correct at time of publishing. Because the Versamax 5-in-1 Tool System features interchangeable heads, the kit is very compact and weighs only 5.6kg. In fact, the entire kit including charger and battery fits in a case the size of a briefcase! That's convenience you can't beat. Plus $25 flat-rate shipping Australia-wide. You won’t get this sort of value at major retailers! With 5 rugged and handy tool heads, the VersaMax replaces a whole tool shed of appliances, all in a compact and lightweight package. Plus, changing tool heads takes seconds, so you'll save time and effort while you work! Being so compact, you can take the whole kit with you into remote or tight spaces, meaning you have a whole toolkit at your disposal for complex jobs and are covered for the unexpected. The Spiral Saw is perfect for those more intricate cuts, sawing brittle materials like Laminate, and jobs where a perfect perpendicular cut is needed. With an adjustable depth gauge, you'll have full control when making tricky cuts into in-situ surfaces. I'm very impressed with the service. Ordered one day delivered to regional Victoria the next. Can't do better than that. Just wanted to thank you for your prompt delivery of our order and for your helpful and pleasant manner with my enquiry. Whow! What a machine. This is just the best Battery Drill I have ever used. It just runs rings around my old unit. It was a great Drill but thus is just so hany for around the home.